Dr. Dean C. Allard has had an impressive career at the Naval Historical Center (now the Naval History and Heritage Command, or NHHC) that has spanned nearly forty years. After joining the Navy in 1955 as an officer from Dartmouth’s NROTC Unit, he served for three years on active duty and before its completion was transferred to serve on Rear Admiral Ernest J. Eller’s staff at the Naval Historical Center. Coming off of active duty he was assigned as the head of the Operational Archives Branch as a civilian and served in that position for more than 30 years, earning his M.A. degree from Georgetown University and Ph.D. from George Washington University. Allard went on to work as Senior Historian and eventually Director of Naval History, staunchly supporting the Center’s publication program and reviving the Secretary of the Navy’s Advisory Committee. Additionally, he oversaw the development of the Contemporary History Branch of the Naval Historical Center. He has participated in several professional societies and has been awarded the North American Society for Oceanic History’s K. Jack Bauer Award, the USS Constitution Museum’s Samuel Eliot Morison Award for Distinguished Service, and the Navy Superior Civilian Service Award. Dr. Kenneth J. Hagan has spent 33 of his 45 years of teaching as a professor of history and strategy at the U.S. Naval Academy, Naval Postgraduate School, and the Naval War College. His debut in the field of naval history was in 1973 when he published his dissertation, American Gunboat Diplomacy and the Old Navy, 1877-1889. He has since written and published 7 books, 19 book chapters, 11 articles, and 25 encyclopedia entries on naval and military history as author, co-author, editor, and co-editor. Of particular note is his book This People’s Navy: The Making of American Sea Power (1991), which was regarded by former Secretary of the Navy John F. Lehman, Jr. as “easily the best one-volume history of the Navy yet written.” Currently he is hard at work on a book on U.S. national strategy from 1890 to 1921. Hagan and his works are known internationally; he will be presenting at the Portuguese Naval Academy’s Naval History Conference in Lisbon this fall. He has served as Archivist and Director of the U.S. Naval Academy Museum and remains Professor and Museum Director Emeritus. 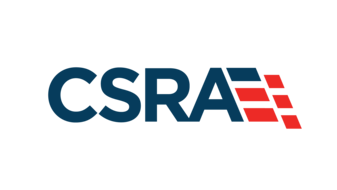 He has received the Meritorious Service Medal, the Navy Superior Civilian Service Award, and multiple research grants. LCDR (Ret.) Thomas J. Cutler is one of the most prolific authors in the history of the Naval Institute Press in terms of sold books. He has written and published a multitude of books and articles regarding naval history, including Brown Water, Black Berets: Coastal and Riverine Warfare in Vietnam (1988), Dutton’s Nautical Navigation, 15th Edition (2003), A Sailor’s History of the U.S. Navy (2004), and several editions of The Bluejacket’s Manual. During his nine years of service at the Naval Academy as both the Executive Assistant to the Chairman of the Seamanship and Navigation Department and the Associate Chairman of the History Department, he received the William P. Clements Award for Excellence in Education. He is currently the Fleet Professor of Strategy and Policy with the Naval War College, as well as the Director of Professional Publishing at the U.S. Naval Institute. Cutler has served as a panelist, commentator, and keynote speaker on military and writing topics at several events and with multiple organizations. He has received the Alfred Thayer Mahan Award for Naval Literature, the U.S. Naval Institute Press Author of the Year, and the U.S. Maritime Literature Award. 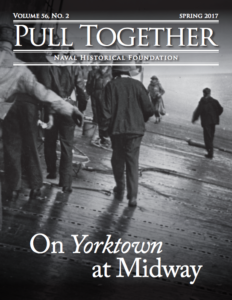 To register for this year’s McMullen Naval Academy Symposium, including the Friday Banquet sponsored by the Naval Historical Foundation, go to the link HERE. If you have any questions, please contact Dr. David Winkler at dwinkler@navyhistory.org. 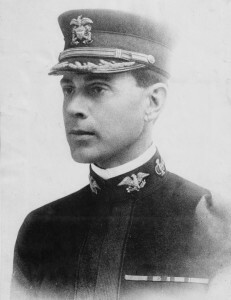 The Knox Prize is named for Commodore Dudley Wright Knox (21 June 1877 – 11 June 1960). A graduate of the U.S. Naval Academy and Naval War College, Knox had a distinguished career as a naval officer with service in the Spanish American War, Boxer Rebellion, Great White Fleet, and World War I. But it was his abilities as a historian, librarian, and archivist that earned him respect and admiration amongst his peers and later generations.